When I was at Uni I had a friend who swore by Sudocrem as a way to deal with a whole manner of skin care breakouts, from spots to dry, scaly patches. On the other hand, I have always thought Sudocrem was a treatment for nappy rash, so didn’t really consider using it on my face. I have been using this cream on an irregular basis to help heal my skin when I have spot breakouts. The thing I have to point out is that I haven’t used the cream to actually get rid of spots, but more to ‘soothe and heal’ my skin. Specifically when those horrid ‘under the skin’ spots break out, they tend to create a fairly large swelling under the skin and when I am very naughty and squeeze them (I know, I know, very bad of me…) the Sudocrem cream does help calm the redness and seems to speed up healing process. This past weekend I had a pretty nasty one brewing under the skin and I couldn’t resist having a bit of a squeeze. I didn’t do very well and ended up just damaging my skin and making the swelling and spot worse – let this be a lesson to you – but since then I have been putting a thin layer of Sudocrem onto the area morning and night an it is pretty much back to usual. In less than a full week, I think that’s pretty good. In fact, tonight my friend LB came over and was asking me if I had anything for spots and Sudocrem was actually the only thing I could think of to suggest. Also, I tend to break out into random itchy/dry patches on my skin during winter, so I’m going to see how Sudocrem does at treating these too, fingers crossed it will do the job. I never knew they’d started doing mini tubes. I have a small tub in the bathroom cabinet which i use on my elbows and really dry areas before bed. I take it thew tubes will be available from Boots? 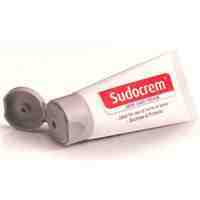 Sudo cream is really usefull, i have used it and till continueing. It clears dark spots and even several acne problems. I would definitely look to purchase a full sized tube in the future. Its the best thing for dry skin I have ever tried.It is actual thick, so alone a little is needed. It does that appears to smell absolutely medicinal, but a smell that reminds me of my childhood.